Are you looking for best suspension lift kit for your Dodge/RAM 1500 and confuse in choosing the best one?? 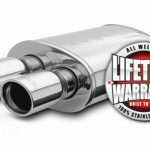 Here in this article you will find the list of best suspension lift kits for your Dodge/RAM truck that will make your beast ready for ff-road- but before starting our list let us know about lift kit..
…..so basically First and foremost thing what is lift kit ? A lift kit basically raises the body or suspension in a vehicle. A body lift increases the distance between the frame and the body while a suspension lift increases the distance between the axles and the frame. Everyone has different reason to install a lift kit- someone wants it for Off-road while other wants it just for looks – So it varies from person to person why they need lift kit to be install in their truck. The First and foremost thing is to consider before buying suspension lift kit is your way of Driving .As in you are daily driver or just drive during weekends and use it for fun during your trips? It depends upon the driving habits as converting your vehicle into an off-road beast will completely change the driving experience – you will feel change in steering geometry along with the aggressive looks while driving. These things are common however some lift kits did not alter the factory ride- but yes! Some change is there. Second, budget is the main concern while buying – so it depend upon how you want to lift your vehicle. As in you only need small body lift or want it for racing or off-road things –it depends upon you only. 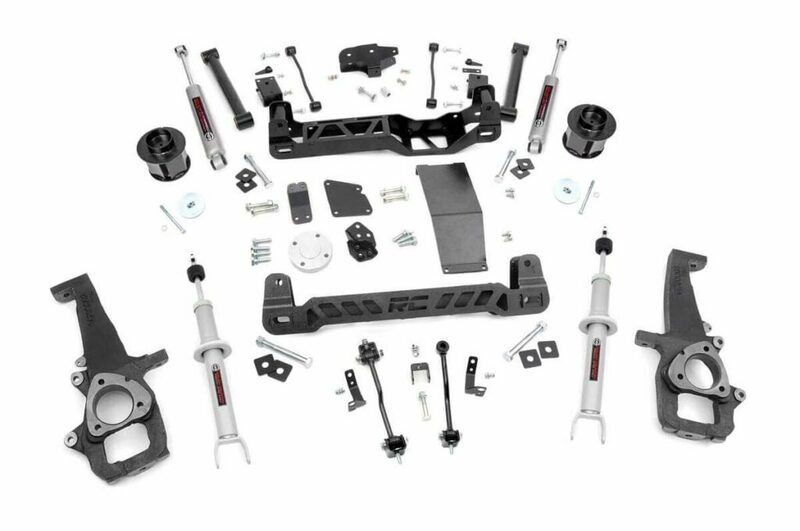 Some lift kits comes with adjustable control arms, brake lines, shocks or sway bar disconnects and some comes with just spacers or add-a-leafs instead of new coils or leafs springs. And wait -in many of them you usually need larger tires, new gears and all similar stuff which will directly add up in cost- So it totally up to you. Now let us move towards about the types of lift kit available in the market. Generally there are 4 -5 types of lift kits available which include body lifts, spacer lifts ,coil spring lift kits, short arm lifts and long arm lifts. Generally these are categorized based on maximum ground clearance, off-road experience and basically inches of lifts as in how much inches you need while lifting as it directly impact on tire size as they both go hand in hand. First comes Body lift-if you’re looking for some 1-3 inches lift under a couple of hundred dollars then this is a lift kit for you. 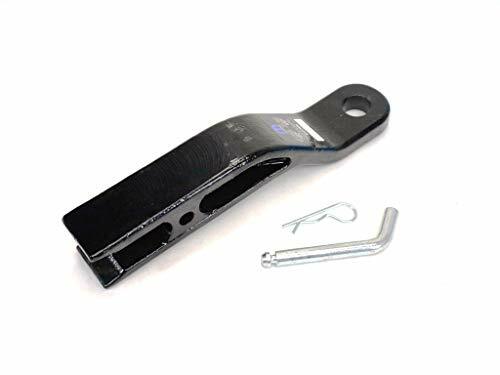 As it comes with spacers and bolts which are then installed in between the body and frame for giving your vehicle additional height without going out of your budget. Second is the Spacers lift– Again this lift kit is for budget buyers. It adds up to 2.5 inches lift in your vehicle. 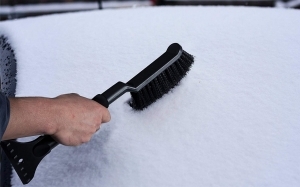 This is just for increasing the visual aspect of your vehicle as in your vehicle looks lifted . This lift kit comes with .75-2.5 inch thick polyurethane coil spacers which are placed on top of the stock coil springs resulting in add up to 2.5 inches of lift. You can combine with larger tires also along with this for extra lift. Third is the Coil Springs Lift kit– First two kits basically lift your vehicle upto 2.5-3 inches if you need more lift then this lift kit will help you. This lift kit basically replaces your stock coil springs with longer, stiffer coil springs adding 1.5-3. Inches of additional lift. It will let you add bigger tires and gives you better off-roading performance. It will also improve your articulation and driving experience. This lift kit comes with adjustable front track bar, longer shocks, brake lines extensions, track bars and more. Fourth one is Short Arm Lift kit- Similar to Coil spring lift kit, it has same components as the coil springs in addition it comes with adjustable control arms which will provide you room for 2-6 inches lift. More lift means more off-road experience and bigger tires along with greater suspension travel. Last one is Long Arm Lift Kit- being the most expensive lift kit of all this will add additional 3- 6.5 inches lift in your vehicle. This lift kit will give your serious off-roading experience and along with bigger tires, exhaust modifications and some extra gears. This is purely for off-roading if you want for occasional off-road trip then go for short arm lift kit. This is all about the types of lift kits. Now coming towards our list of best kits Here in this article – keeping in mind these points we’ve listed the top 3 best Suspension lift kits that will add up to 6 inches lift to your Dodge/RAM 1500 Truck . If you want more lift or lesser lift then you can check our other article for choosing the best lift kits around the web. Without wasting more time let us start our list of top 3 best suspension lift kits for 6 inches lifts to your Dodge /RAM 1500. 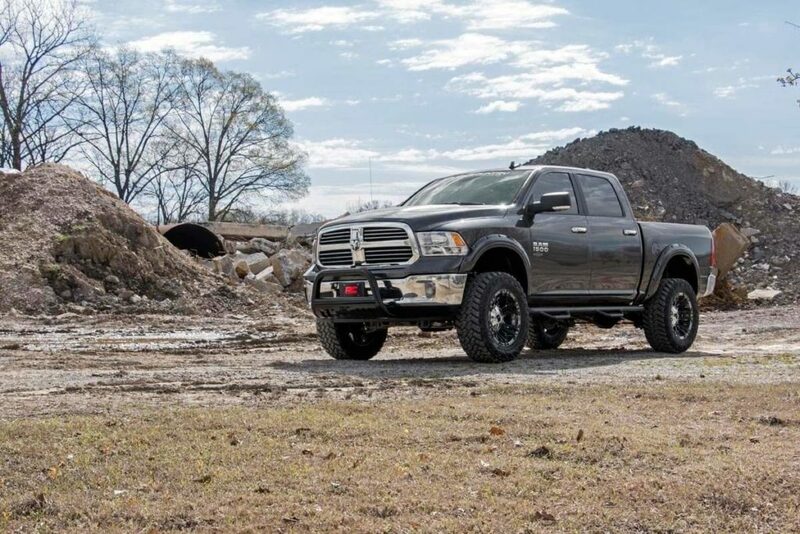 Make your dodge ready for off-road ride with Rough Country 6-inch suspension lift kit. The Rough Country let you accommodate the tire size of 37 inches and gives your truck excellent lift and comfort along with ultimate off-road experience. The lift it is designed to offer an affordable way to maximize off-road performance by featuring high quality, heavy duty equipment for your RAM 1500. Engineered to provide best off-road survivability the lift kit comes with shocks and struts Utilizing heavy-duty, laser cut and steel equipment. 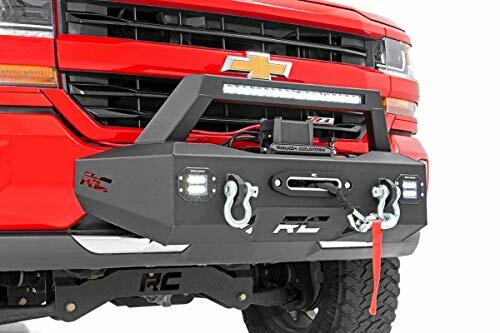 Along with this it also comes with heavy-duty skid plate and hardware that offers additional protection to your truck from highly bumps in hazardous terrain by protecting the vehicle’s differential. You can experience the excellent lift and comfort with high-clearance front and rear cross-members that are specially designed to provide you with increased ground clearance and unparalleled driving comfort. Moreover it also provides you room for off-roading tires upto 37 inches high. The lift kit also comes with set of rear N3 Performance Shock absorbers that are Rough Country’s premiere shocks and valved specifically for unparalleled off-road performance. As everyone know more lift means bigger tires and more instability in steering – So for this it comes with durable set of driver and passenger side lifted cast knuckles that helps to promote proper geometry once the vehicle is lifted. Don’t worry about the looks! Yeah right with all better performance, bigger tires and comfort ride you don’t have to compromise with looks as all components are specifically designed to keep things nice and tidy underneath, utilizing drop brackets to promote proper geometry and leaving nothing hanging out in plain sight. At last, this 6 inch Rough Country suspension lift kit is overall the perfect blend of performance, protection and style. It will take approx. 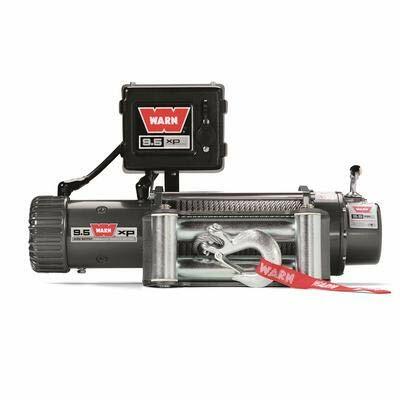 9-10 Hours to install – Mechanical expertise or professional installation required. Lift your Dodge/ RAM truck with BDS Suspension and Fox Racing Combine coil-over lift kit. Nothing better then the collaboration of BDS 6” suspension system with race proven design of Fox 2.5” remote reservoir coilovers. This is one of the best Suspension lift kit in our list and specially build to perform out in the desert, the trail and on-road and yes! most liked by truck drivers. The reason behind this is the combine effort of BDS 4-6” suspension system with Fox 2.5” coil-over remote reservoir shocks. This system has been rigorously tested to maximize travel and performance on and off the pavement. 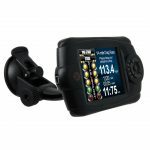 This is special designed system that can give you nice lift of 6” inches but can be adjusted down to 4” or fined tunes anywhere in between to your linking. Fox remote reservoirs coil-overs has been specifically engineered to fit the 6” BDS system in such a way that will provide room for an external reservoir for increased oil cooling capacity and nitrogen volume for a more consistent and comfortable ride. This system gives your truck nice lift and also provide you quality ride. You can also upgrade your tires upto 37 inches with this suspension kit. The installation is little difficult as it will take around 10 hours so it’s better to take mechanic help for that. Not recommend for AWD this lift kit is based around two one-piece , ¼” laser cut high-clearance cross members which helps to increase the ground clearance for off-road experience and replacement steering knuckles which will maintain proper steering angles and ball joint angles after lift. So both have important role in suspension system. 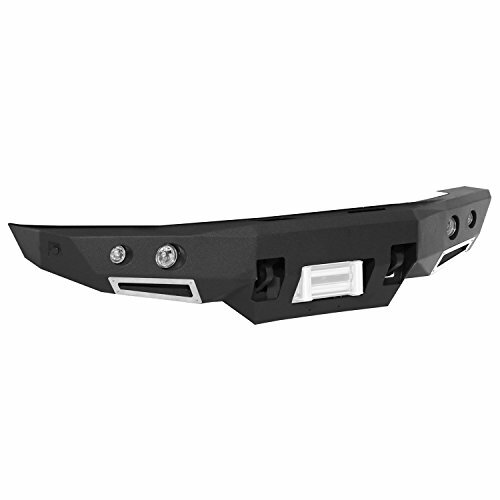 There is also a differential skid plate included for off-road protection. 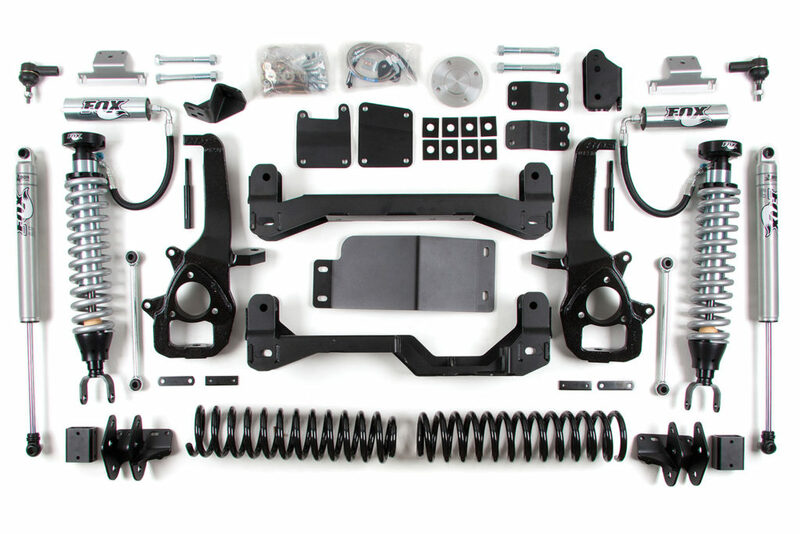 Moreover this system also comes with bump stop drops, anti-sway bar links, 3 point differential drop system, strut relocation brackets, and front stainless steel brake lines. You can replace your factory springs and other parts with BDS system that offers you high quality durable 2” rear coil spaces or 3” and 5” Pro-Ride coils that are capable of being smashed totally flat and will come back to normal ride height. 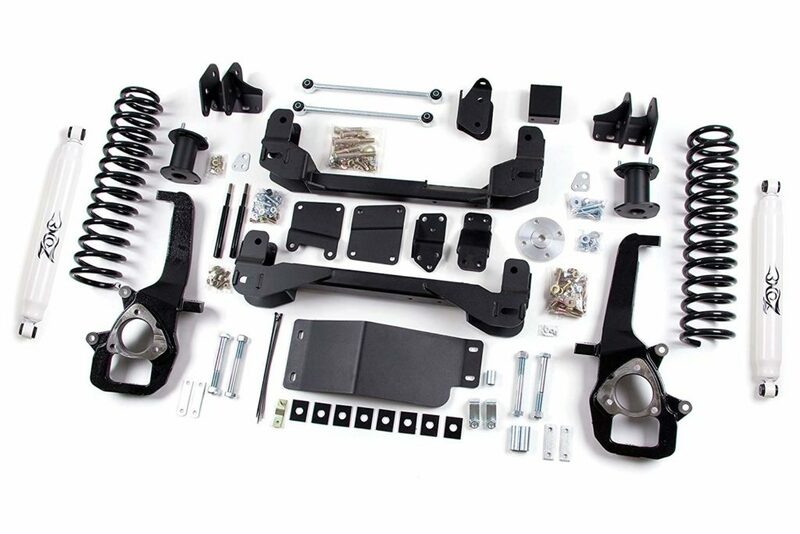 Moreover you can also get track bar bracket, upper link relocation brackets and sway bar links with this kit . At last this is one the best suspension system with all the desired lift you need for you beast. Make sure to take help from mechanic and also it will not fit adjustable air suspension equipped models. Wait for the First #1 position is over Zone Suspension 6″ Suspension System 3″ Rear Springs w/Black Nitro Shocks stands at first position our list of 3 best Suspension lift kit foryour Dodge/RAM 1500. This is lift kit for you whenever you want to get nice lift without sitting on the top of your head. Lift your beast with Zone Suspension system and let it run on the bumpy roads smoothly without damaging any of its parts. This Zone off-road 6 in. Suspension lift kit system gives you ultimate experience of off-road by accommodating bigger tires and lift. It comes with Front Strut Top Spacer and Preload Spacer that adds up ground clearance and let you fell the joy of riding. Moreover it also comes with high quality shocks and differential skid plate that protect you rig through off-road adventures. With its strong shocks and parts this lift kit is specially engineered to work with factory stability control system while maintaining handling and offering better clearance with leveling ability. Bigger tires means more instability – for that the lift kit system comes with enhanced steering knuckles that let your dodge won’t lose any driving stability or control even with 6 inches of additional clearance. These CNC machines knuckles also adjust steering angles and offers high level of durability. It also offers you 3 inches or 5 inchs Rear lift option so you can lift according to your need. Thanks to its smart spacer design that offers you with high quality spacers and other parts and moreover stunning looks that let you feel confidence while riding your beast. The kit is independently tested to meet FMVSS No.126 compliance standards. At last this is the perfect lift kit with all the parts you need for lift – like you will be getting a massive inches of wheel travel, better ground clearance and bigger tires of 37 inches– What more you need! 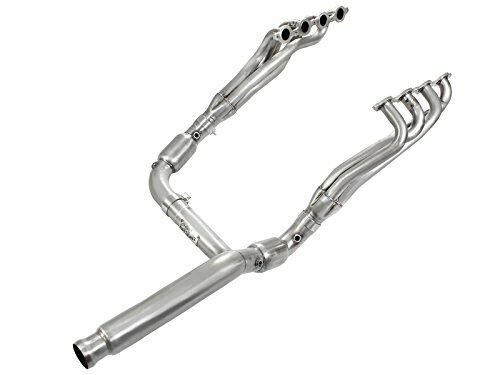 Fitment : 2013-2017 Dodge Ram 1500 4WD and 2014-2017 Dodge Ram 1500 4WD 6″ Diesel. Will not fit Mega Cab models. Not recommended for AWD models. Wheel Size: 17 x 9 Back Spacing: 4.5â³ Max Tire Size: 37×12.50 or Wheel Size: 18×9 Back Spacing: 5â³ Max Tire Size: 37×12.50 or Wheel Size: 20×9 Back Spacing: 5â³ Max Tire Size: 37×12.50. We hope you enjoyed the article Top 3 Best Suspension Lift kit 6” Inch for Dodge / RAM 1500 – That is how truck look lifted to its entire bits. We do hope that this article helped you in making a definitive choice when it comes to choosing an Best and most affordable suspension lift kit that is best for your beast for off-road driving.